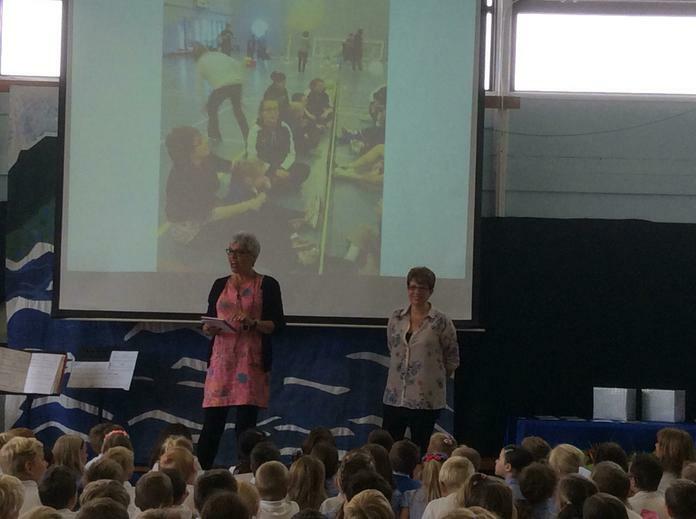 We had a special assembly today to say goodbye to four special members of staff, who are all leaving us for new adventures! 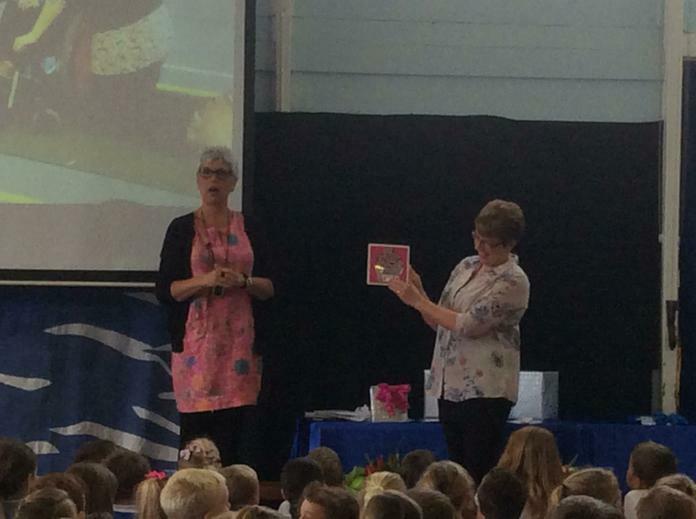 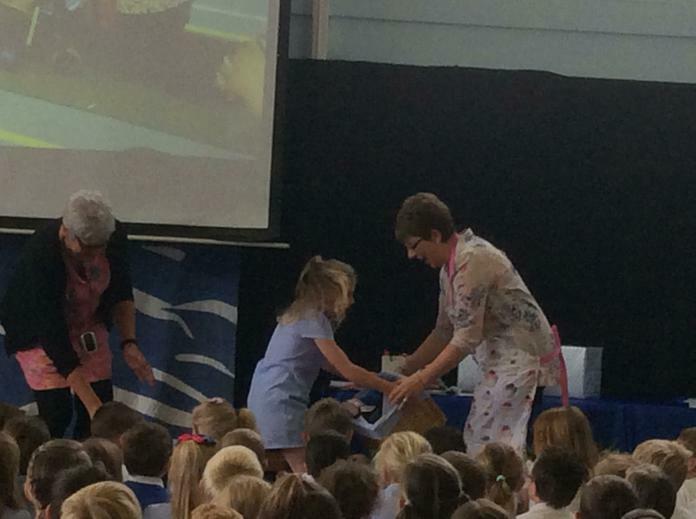 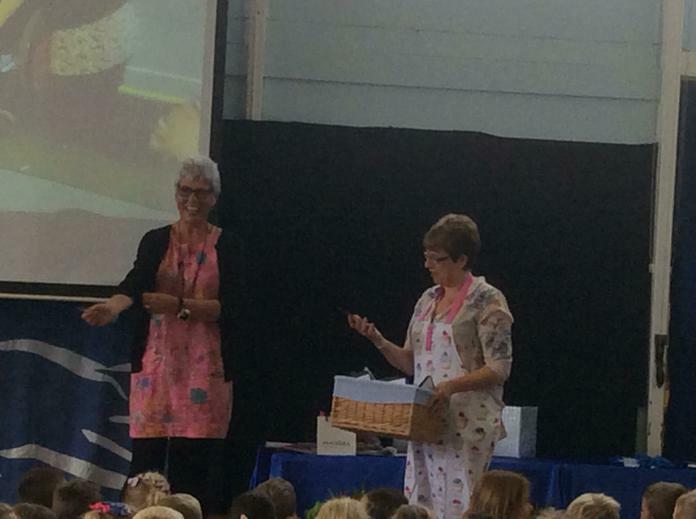 Mrs Armstrong was presented with a picnic basket, filled with messages from each class, along with an apron covered with cupcakes to take with her as she embarks on her own business baking dairy and gluten free cakes. 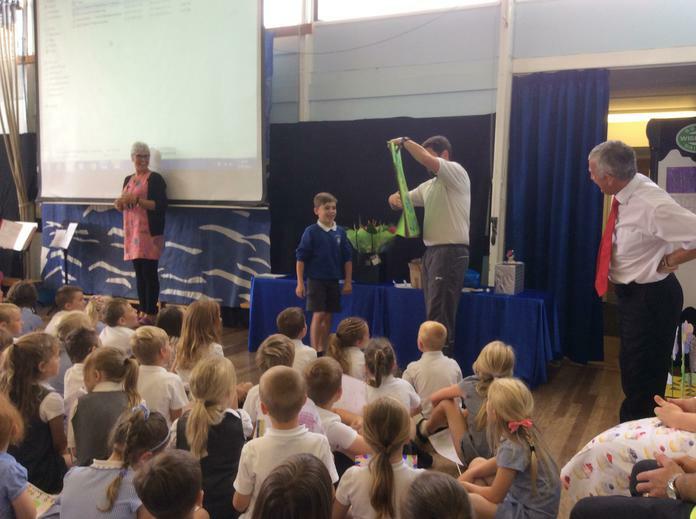 Mr Miller was presented with his own flower garden, containing flowers made by each class, along with garden centre vouchers. 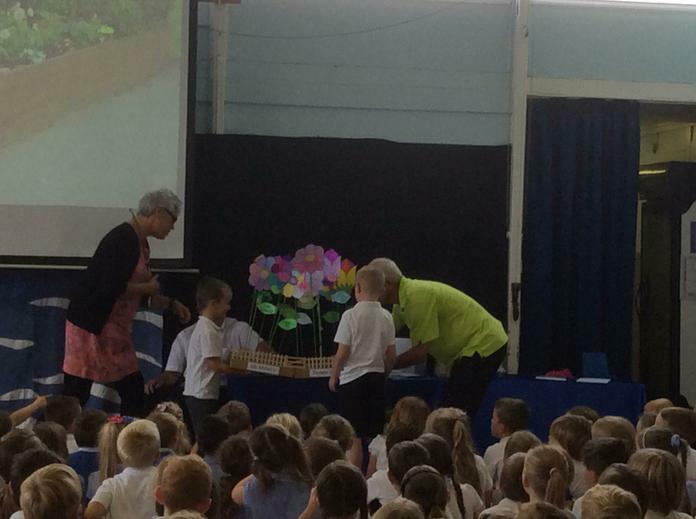 Mr Miller is setting up his own gardening business. 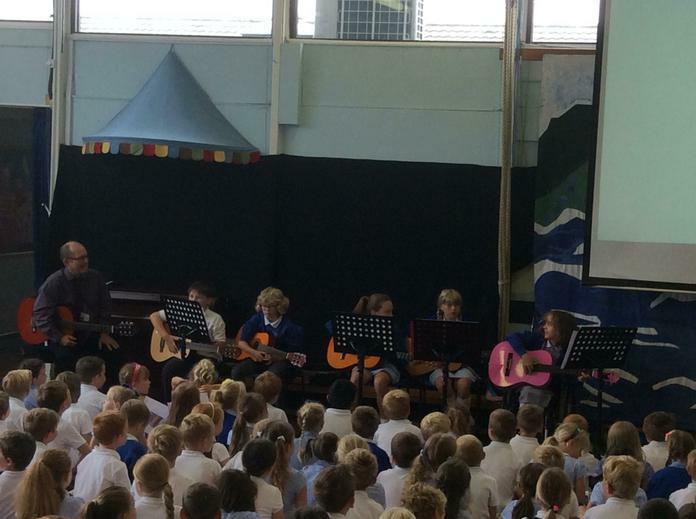 The children in Year 2 sang a beautiful song for Mrs Armstrong and Mr Miller, accompanied by Miss Lumley on her guitar. 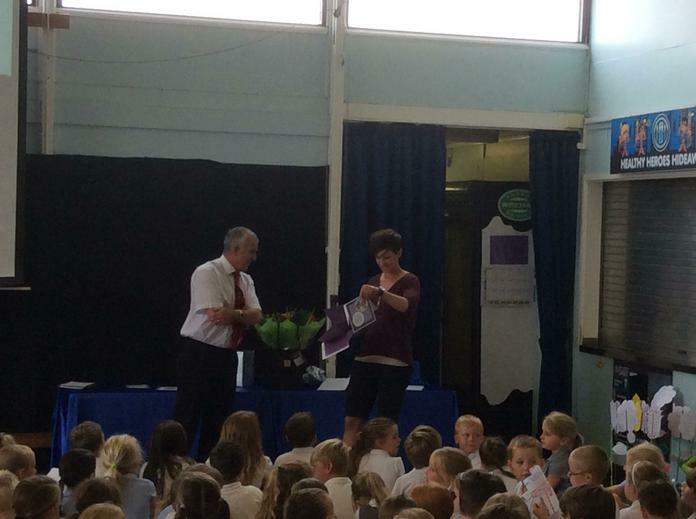 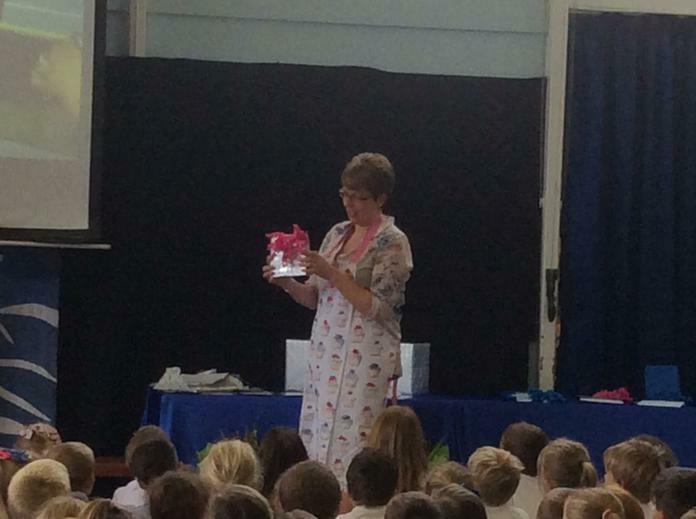 Miss Lumley was presented with a card made by all the children, along with gifts to take on her new adventures. 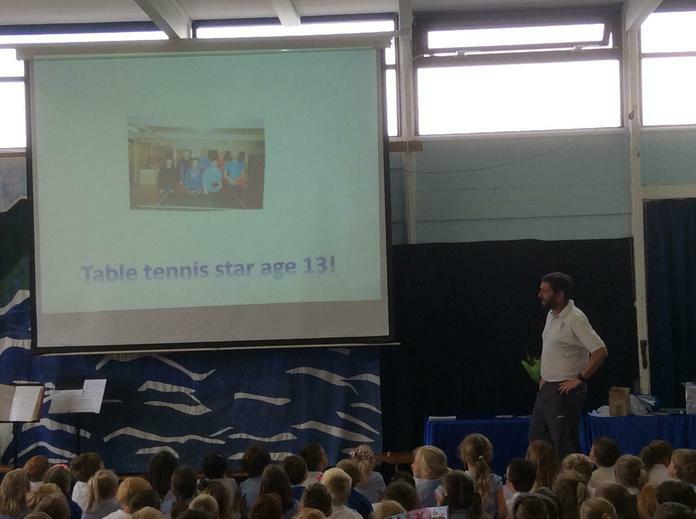 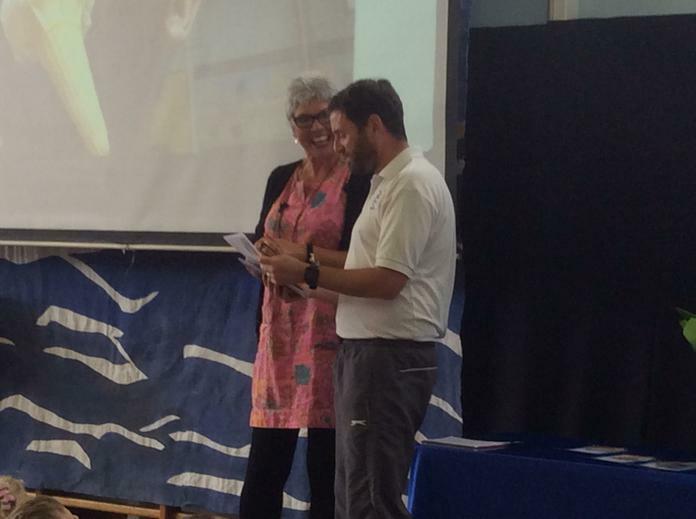 Mr Gittins was presented with a trophy for being a great sports coach, a voucher to drive sports cars and a fantastic card made by all the children. 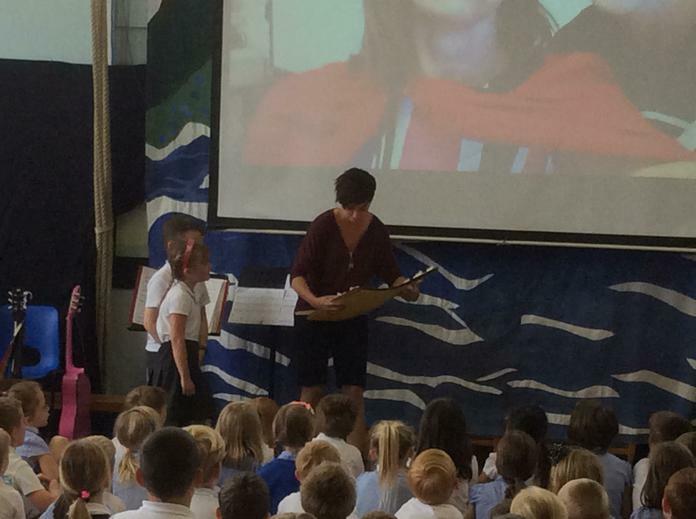 The children also sang musical tributes to Miss Lumley and Mr Gittins, waving flags they had made in their honour. 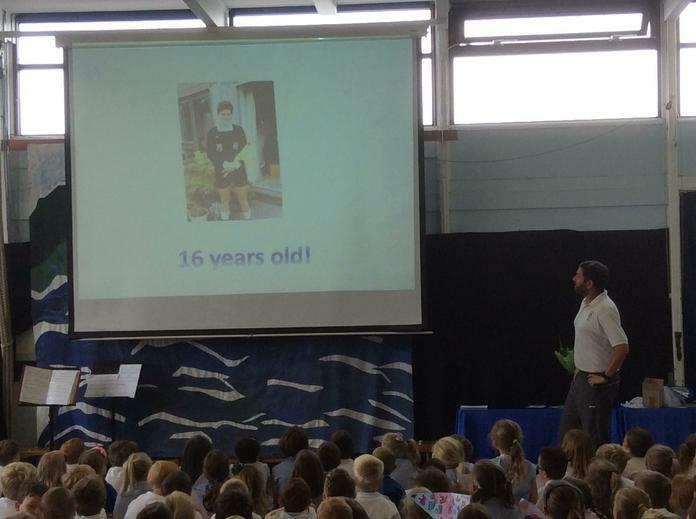 There wasn't a dry eye in the house!! 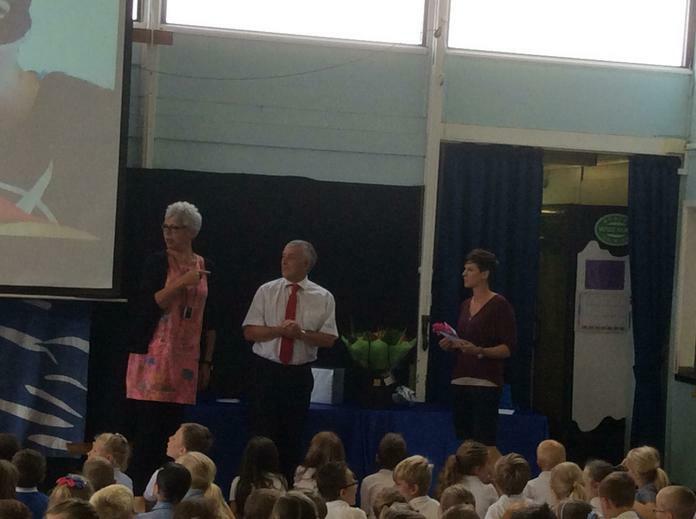 We thank each of these members of staff for all their hard work and wish them all the very best for the future.